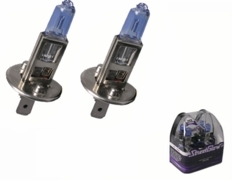 Streetglow H1 (55w) DOT Legal Xenon Headlight Bulbs (pair)5Robyn SiennaOctober 28, 2010You can't beat this price! My husband had bought some lights from the local parts store for almost 35 dollars. I sent him back to return them. These are just as good and I got a spare set with money left over. Streetglow H1 (55w) DOT Legal Xenon Headlight Bulbs (pair)5MichaelFebruary 24, 2010For the inexpensive price that these are, they are much whiter than stock bulbs. Worth every penny.